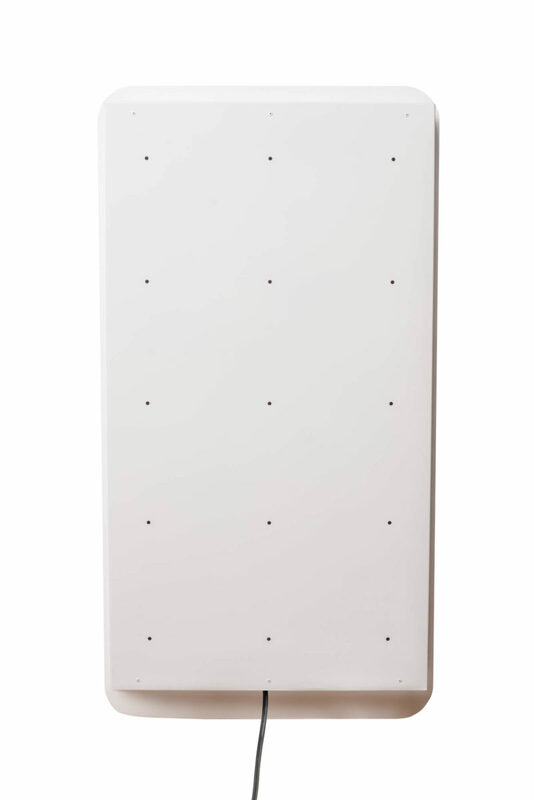 The wall mounted cell phone charging locker is a space saver and makes charging easy, convenient, and secure. 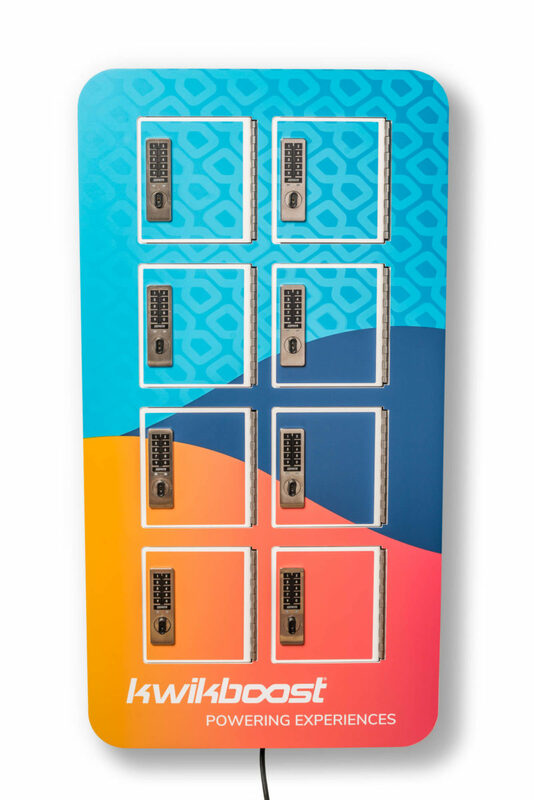 The cell phone locker is ideal for environments where patrons also want the option and convenience of a locked solution. 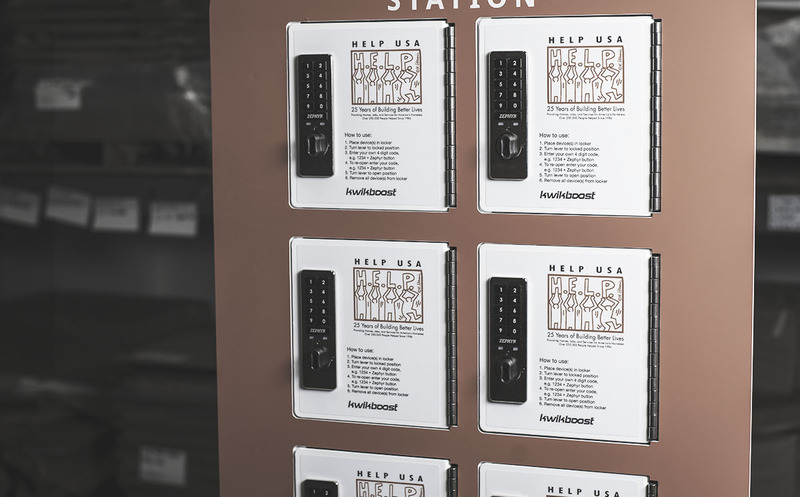 Each bay features its own digital keypad lock with user-generated codes. 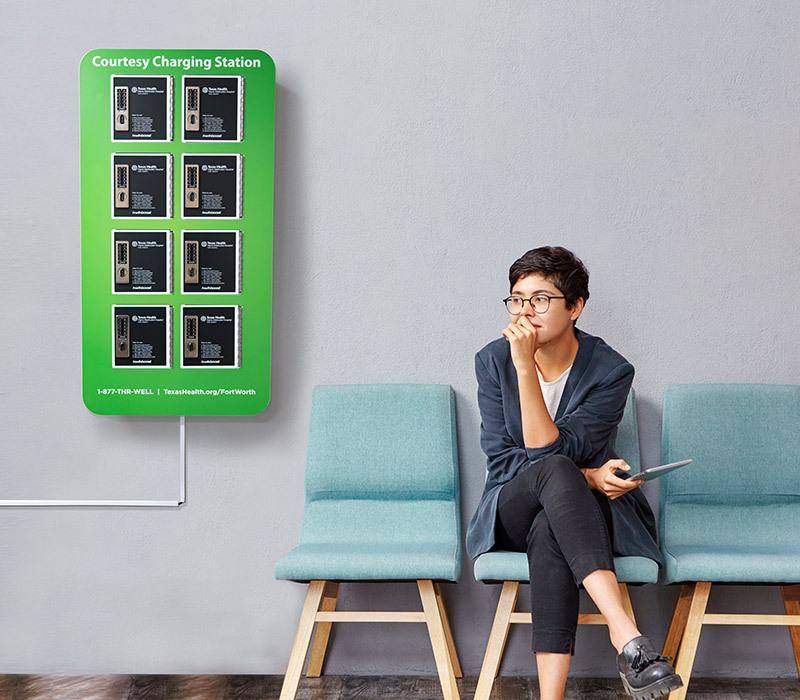 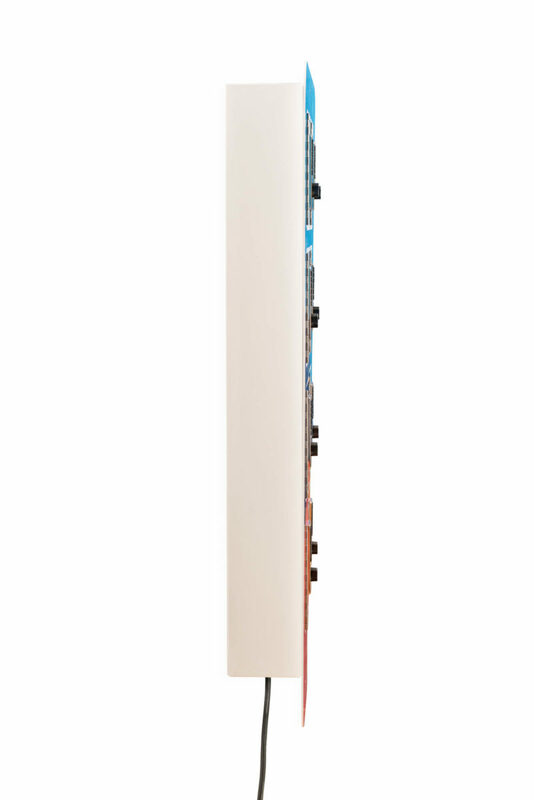 As a compliment to our floor stand phone charging stations, it’s great for universities, schools, hospitals, libraries, clinics, stadiums, airports, hotels, offices, gyms, and more. 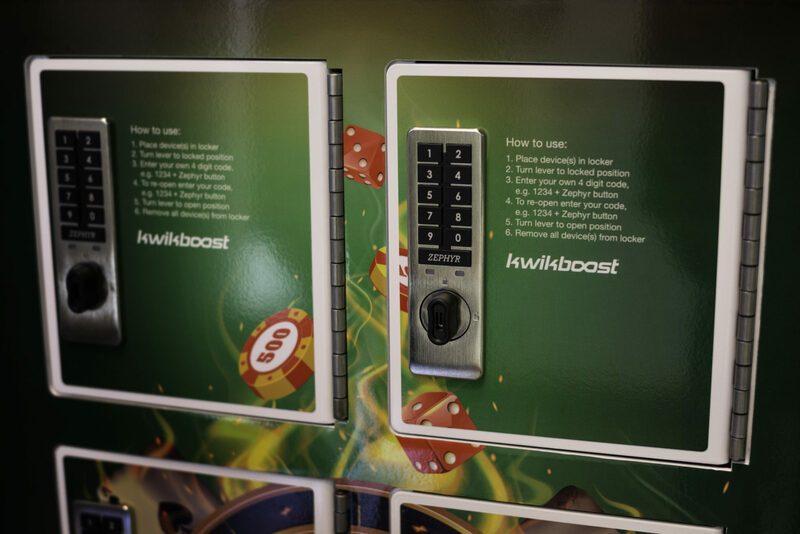 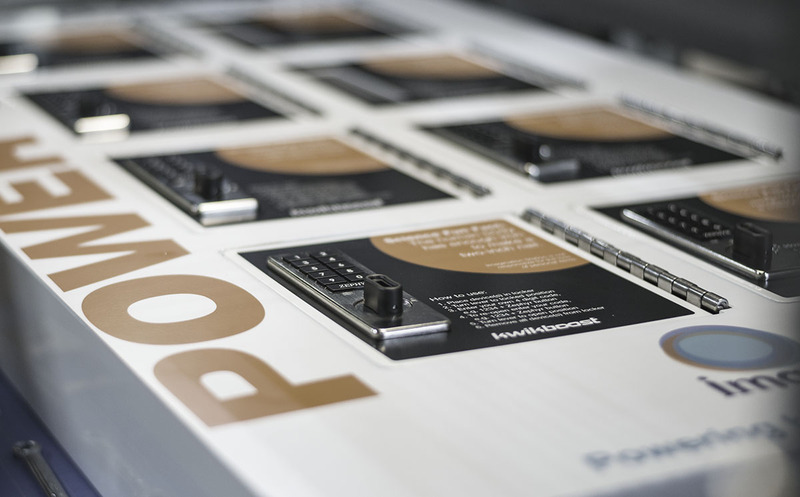 Available in 6 or 8-bay options and also comes with the KwikBoost Lifetime Warranty and 1-year service plan. 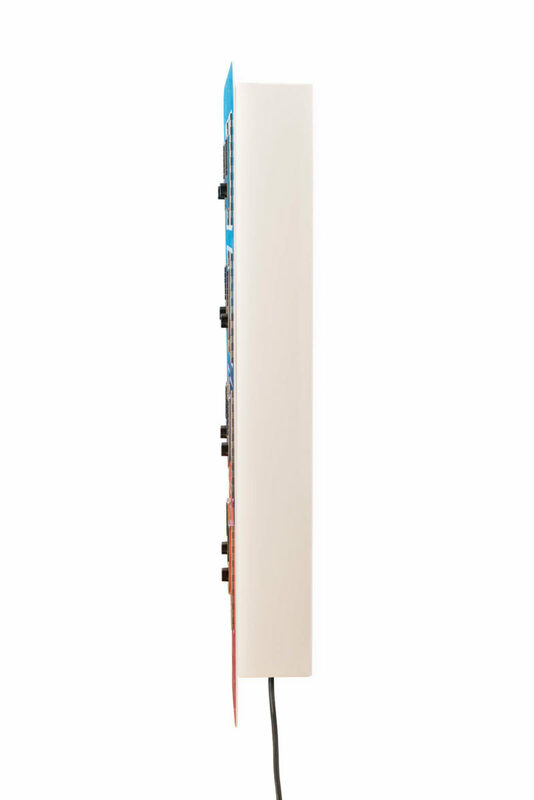 Achieve a clean, more minimal appearance with the cord cover accessory. 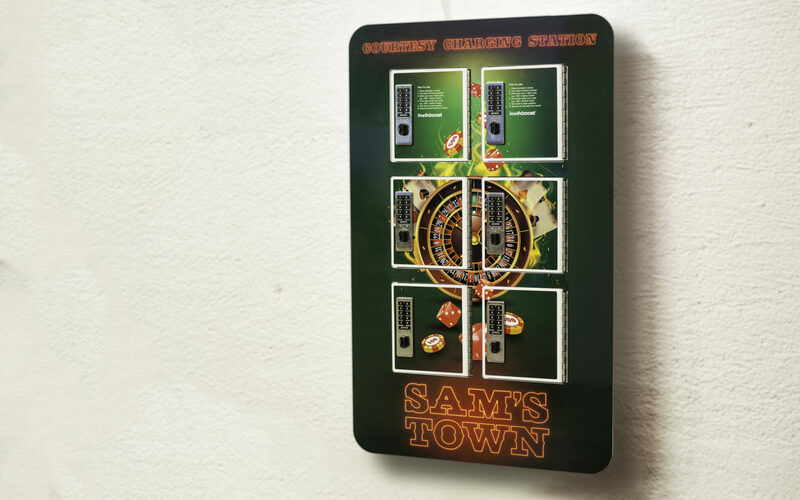 Pairs well with any wall mounted charging station.